Here are a few questions that might be similar to your own. 1) What type of NRR do I get with an electronic earplug?When answering this question, there are two folds. One, with the unit in an “off” position or in the “on” position it should carry the same NRR rating. However, depending on where the electronics were set or the “gain” was able to reach… this might change the actual noise entering the ear.For instances, using this as an example, we have a common landscaper using a set of earmuffs that feature an FM radio capability. The actual ear muff might have a NRR rating of 27dB which would be consider very good as a noise protector. However, when our landscaper has increased the radio “inside” the ear muff to hear it to 100dB’s… where has the protection gone?So pay attention to such packaging stating that you’re getting a NRR of 29, as this might only be true for one way use… Or properly fitting them within your ear. 2) Will your electronics benefit me when I use a game call or I’m listening for game in a field? Our units will definitely be okay with game calls and listening for game in the field. We have the unique ability to even “speech map” certainly game calls into our programmable circuitry for even further specifics for those hunting activities. Speech mapping is done in the hearing aid market for general specifics for hearing aid users. You basically have a certain person, (ie, spouse) go through certainly software speech recognition tests and then program the hearing aid unit for such variances. This gives the user a better ability to hear these specific frequencies and interact with them. Same with a game call… each depending on animal (ie, elk, duck, deer, varmint, etc.) has their own unique pattern that we can take in and adjust the unit for that particular sound. 3) Why do you recommend a custom-fit earpiece for your SHS™ and Quick-Fit™ units? We always want our products to perform to their utmost abilities for our consumer. So by recommending a custom-fit tip for our SHS™ and Quick-Fit™ units, we are maximizing the fit and comfort while isolating the inner ear properly during noisy activities. 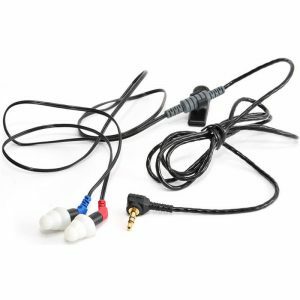 We also minimizes your chance of feedback and a variance in the overall NRR as seen with a generic foam or rubber tipped earpiece. 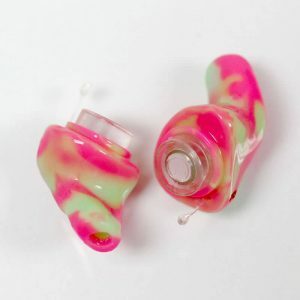 Custom-fit earpieces come in a wide range of color choices and can be made to float, if desired. 4) What are the differences between your electronic earplugs and a hearing aid? Officially, our electronic earplugs are listed as assistive listening devices (ALDs), and not hearing aids. Hearing aids are designed with one goal, to make your hear more. They amplify anywhere from 100-140dB and are intended to be used socially. 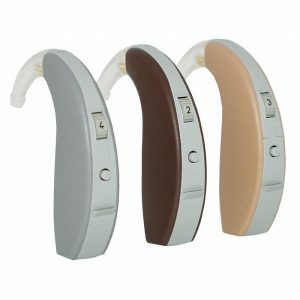 Our ALDs are designed for the person with high frequency loss that wants to use it either as low-cost entry-level hearing-aid type device, or also as a unit that they can still use recreationally or professionally around loud sounds or machinery. ALDs are more functional and focus on compression as well as a little amplification. Hearing aids are designed to address a significant hearing loss with specifics in frequencies and possible loss. They will usually have a much higher gain and possibly have additional features not seen on an electronic earplug (ALD) such as venting and porting that will allow the ear canal to â€œbreathâ€ without occlusion. The compression rate is usually set in either a pre-programmed memory setting to reduce background sound, or is set higher on louder sound levels then a hearing protection device. Our electronic hearing devices (ALDs) are all built with hearing aid components and our settings are specific for limiting louder impulse noise such as gunfire. 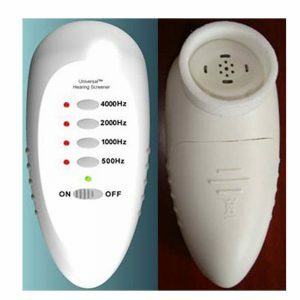 This simple programming difference is extremely important for those users trying to use an amplified hearing device so that they can clearly hear their surroundings without putting themselves into further danger and losing more of their hearing as a result. 5) Are your electronic earplugs waterproof? No, all of our electronic earplugs are considered water resistant. If you are concerned about moisture, most units can be used with moisture wicking, or absorbent desiccant products that will help reduce the potential moisture damage that might occur. Please review our ACCESSORIES tab within the units description for available products. 6) Is wearing two units better than one? Usually speaking, it is always more beneficial to be wearing a unit in each ear. You will be able to tell direction better, and basically “equalize” your awareness out in the field. This is important for safety reasons as well as overall enjoyment of being out in the field and interacting inhibited. Obviously though, if you decide to only wear one unit in the field we would recommend plugging the other for protection with a filtered earplug or solid earplug. There are still bones and vital things within the ear that help with balance and can cause issue with dizziness and nausea. So protecting them with something is still important. 7) Why are the shells of your custom hearing devices only made in beige? You can have them made in red/blue too, but with the beige units we are able to digitally cast a 3-D imprint of your ear and keep it on file. This has been a tremendous success, in that if you lose or damage your units/impression, then we can have a new set to you in a few days, thus limiting your down time and not ruining your hunt or event. You do have your choice of faceplate colors and the inside markings will be â€œredâ€ ink for the right ear and “blue” ink for left ear – for easy identification. 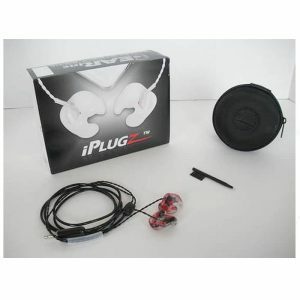 8) What is the difference between electronic ear muffs and electronic ear plugs? Typically electronic ear muffs work on “peak clipping” circuitry and have a slower attack and release time versus an electronic ear plug. What “peak clipping” means is that the incoming signal reaches a pre-determined level and is “clipped” at anything beyond this point. This reaction creates a perceived “muting” effect before the circuitry recovers and it amplifies normally again. Depending on the sophistication of the circuitry, this attack/release time can interrupt normal surround sounds to be heard and can be a distraction when talking to people around louder impulse noises. There are many electronic ear muffs that work on “compression” circuitry now which gives the user more ability to react within their surroundings without a perceived “muting” effect. This will be more like today’s electronic ear plugs where the user can still interact and understand their elements without losing sense of direction or contact with their environment. 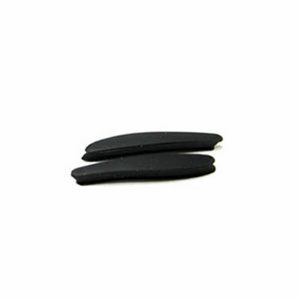 However, electronic ear plugs are a bit more specific on frequency control and clarity as everything is being placed in the ear and not in a foam lined domed ear muff. 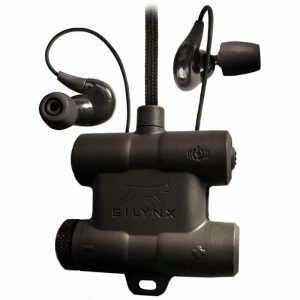 Also, you should always double up your hearing protection whenever you shoot indoors or under a roof – there is too much reverberation for a sungle product only – due partly to bone conduction. 9) Why do you offer so many options? There really is an earplug for everyone. Knowing the hearing healthcare market as well as we do, we understand that there are as many hearing related issues as there are applications. We pride ourselves in making any unit available for any purpose and budget that we need to work around. Instead of owning a variety of earplugs to keep track of, many of our clients like to make a single purchase to cover a variety of aspects in their daily life. This could include shooting, music, archery, dining out, loud convention halls, public speaking, surveillance, covert operations, firefighting, or verbal commands from a range officer. We are committed to providing tremendous savings to our clients that don’t need to have everything, but just some things. You know best about how you want to use it and we know best about how we can enhance your environment while protecting your hearing. Of course, if you want all of the bells and whistles, then we will build that custom for you, too! We have been innovating hearing protection since 1971, and there is a reason that we are your custom hearing protection expert of choice. 10) Do your electronic devices get covered by any insurance plans? Yes, some insurance plans will. While most HSAs and many FSAs cover this expense as a hearing protection purchase – more and more insurance companies are realizing that it will save them more money down the road if they help protect what hearing that you have left today with an ALD at 1/3 to 1/2 the cost of a traditional hearing aid. Please check with your insurance agency for further information on the coverage that you have. 11) Can your custom-fit units be transferred from person to person with a new ear impression? No, this question has been asked many times when say a hunter wants to get a new set and would like to transfer his old units to a family member or buddy. Unfortunately, this is not as easy as it seems. With each ear being unique in shape, the faceplate is grounded down and shaped to fit the original user. When you take this faceplate off and try and fit it onto a new shell, the alignment for the battery compartment and the additional components become a problem and in most respects won’t always fit very well. Thus, causing more of a problem for the new user then just purchasing a new unit altogether with all warranties included. If you have some old units, send them in for a trade-up for some new units, we will credit you to offset the costs of a new pair. 12) I just put new batteries in, used it once two weeks ago and when I took them out today they were dead. Why? The standard batteries that are used with our units are oxygen/zinc activated batteries. When the pull tab on the battery is removed, oxygen enters through small holes in the top and activating the battery. The clock starts ticking at this point for your 140-200+ hours of the battery life. It will drain faster when left in the unit and in the on position than removed – BUT it will continue draining nonetheless. You can try to slow it down by putting the tab back on it, however the air inside is still burning up. Our units will indicate a low battery level with some beeping, but it is always wise to have a some extra new batteries with you at all times. No one wants to be left unprotected when they need it most. There is an option for rechargeable batteries, too. 13) Why do you offer mostly digital units to consider? Digital technology has many advantages. One it processes sound much quicker giving it a better overall reproduction to the ear for clarity of speech and environmental sounds. Two, it is easier to program and manipulate the frequencies for improved performance in hearing loss individuals and speech mapping requirements. Third and foremost, it brings a CD quality of sound to the end user without over amplifying background and unwanted sounds. With these advantages, digital technology is a better product for us to market and for the end user to enjoy. 14) Is one unit better then the other? We recommend a lot of our units depending on user use and requirements. For instance, if you are a waterfowl hunter or upland game bird hunter, we would recommend that you look at the multi-memory units as the second memory will help you in windy or extraneous background noise levels. If you are a police, military or firearms instructor, the best units to go with would be custom ones. However, we know there are usually budgets to play with and therefore might recommend going with something generic so you would be able to pass the unit over to a new cadet or officer on the squad without repurchasing new units. 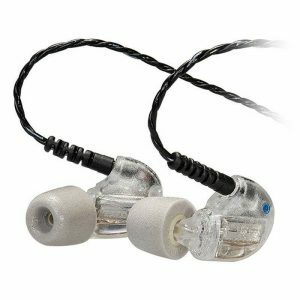 If you are an everyday average, once in a while, kind-of user… then many of our generic units work well for just this purpose… Low on the budget, and still protective on the ears. If you have any further questions, please let us know by sending us an email at [email protected] or giving us a call at 1-800-525-2690/1-303-447-2619.